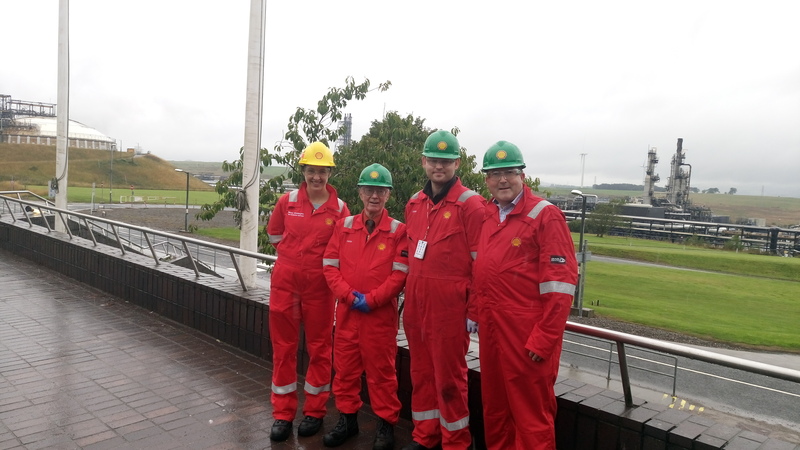 From left to right, Shell plant manager Teresa Waddington, Alex Kemp, Mark Lammey, and David Rodger, Shell. Top petro-economist Alex Kemp will soon deliver a more “bullish” forecast for North Sea oil production out to 2050. 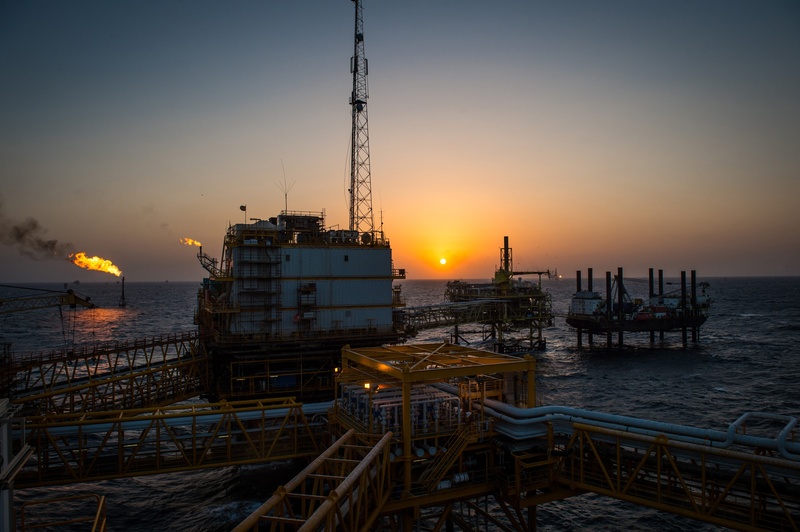 The Aberdeen University professor said higher than expected Brent crude prices and lower costs meant existing predictions could be too conservative. His last study estimated that nearly 11 billion more barrels of oil would be produced between 2017 and 2050 with Brent around $60 per barrel. But with prices hovering between $70 and $80 for the last few months, Prof Kemp and his colleagues at the institution could deliver more optimism. He was not yet ready to say exactly how many more barrels could be available, but is likely to reveal the figure in the coming weeks. He said: “We are in the middle of a new study on the long-term prospects with oil prices up around $70. 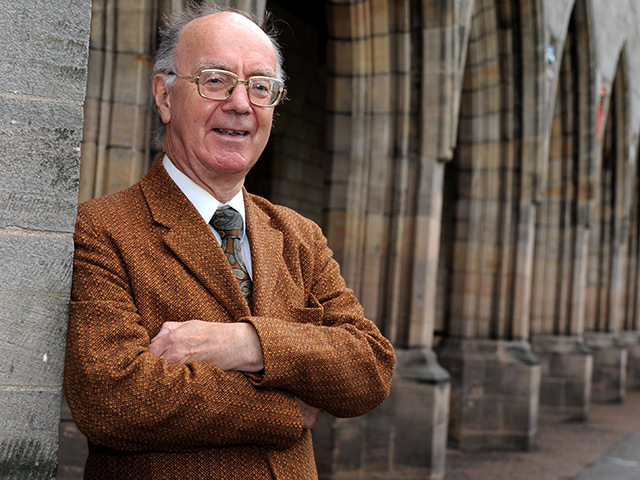 Prof Kemp, who wrote the official history of the North Sea, published in two volumes in 2011, said there were a lot of unknowns which could affect the oil price. But if Brent holds its position there is more hope for North Sea project sanctions than previously thought. He was speaking while travelling by train to the Mossmorran Natural Gas Liquids (NGL) plant in Fife. The visit was a first for Prof Kemp, but that did not mean he was not well versed on the facility’s history. He was carrying a document from 1976 which contained plans for an NGL plant, but not in Fife. Shell initially intended to build it near Peterhead, but safety concerns about the site’s proximity to a planned ammonia plant meant the current location near Glenrothes was picked. After the decision was made, ammonia prices plummeted and the ammonia plant idea was scrapped. Prof Kemp said the government was happy to have the plant in Fife at the time because of the jobs it would provide for the region’s unemployed miners. Imperial Chemical Industries opposed Mossmorran on the grounds that government backing for the Fife facility would put its own plant in Teesside at a disadvantage, he said. Despite the challenge, Mossmorran was up and running by the mid-1980s. The site is split into two plants − Fife NGL operated by Shell and the Fife Ethylene Plant (FEP) operated by ExxonMobil. Liquid is delivered to Fife NGL via a pipeline running from the St Fergus terminal near Peterhead. Once the components are separated, ethane is sent to FEP, while propane, butane and gasoline are piped six miles away to the marine terminal at Braefoot Bay for export by sea. Prof Kemp almost made the trip to Mossmorran in 2003 to celebrate the signing of a deal which secured the supply of natural gas from Norway to Scotland for 10 years and safeguarded hundreds of jobs. He said a report Aberdeen University produced about gas transportation tariffs may well have influenced the outcome, but teaching commitments meant he was unable to attend the celebrations alongside then-Chancellor Gordon Brown. Teaching is still a big part of Prof Kemp’s life. Now in his 70s, he continues to deliver lectures and mark exam papers and dissertations. Prof Kemp, who was at Shell’s economics division earlier in his career, contributes to a number of courses, including the recently launched MSc in decommissioning. He is very proud to have authored the North Sea’s official history, which took years and copious trips to London to complete. Prof Kemp, born in Drumoak, Aberdeenshire, also spoke enthusiastically about his dealings with politicians and industry chiefs over the years. The son of a farmer, he fondly recalls the achievements of various oil industry pioneers, including former Shell boss George Williams, who was instrumental in getting oil companies to explore the central and northern reaches of the North Sea. It’s clear that the professor, who became the first person to be inducted into the North Sea Hall of Fame at The Press and Journal’s Gold Awards in 2015, is not preoccupied with thoughts about retirement. His first paper, on taxation, was published in the mid-1970s and has been going strong ever since.